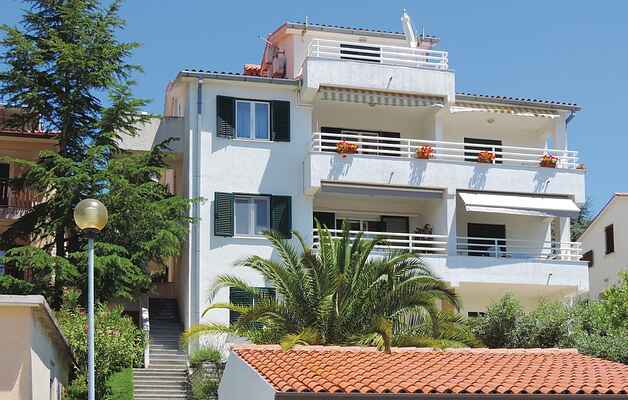 These lovely holiday apartments (CIO044, CIO045, CIO046, CIO047 and CIO048, CIO244) are situated in a family house in a tourist village Rabac, on the slopes of the hill rising above the sea. Rabac is a town famous for its beautiful pebble, pearly white beaches and crystal clear sea, which is why it was named the ''Pearl of Kvarner'' Apartments CIO045 and CIO046 have a beautiful panoramic sea view. CIO045 is located in the attic with the lowest ceiling height of ca 1.5 m. During the day enjoy sunbathing, swimming on nearby beaches and sports recreational facilities. or taking a romantic along the sea promenade with bars, restaurants and souvenir shops. We also recommend taking a boat trip from Rabac to various destinations, as well as visiting the nearby picturesque old town of Labin, a place of numerous summer festivals.